So lately I've been staring at my closet...and I have come to realize how much stuff I have crammed in there. Stuff as in my keyboard and the stand, snowboard, mountains of clothing, stacks of books, hats, shoe boxes, bags, and other useless things. I probably have a few rodents living in there too. Just joking...maybe. Anyways, I think scarves are the best accessories, which enable us to dress up or down pretty much any outfit. 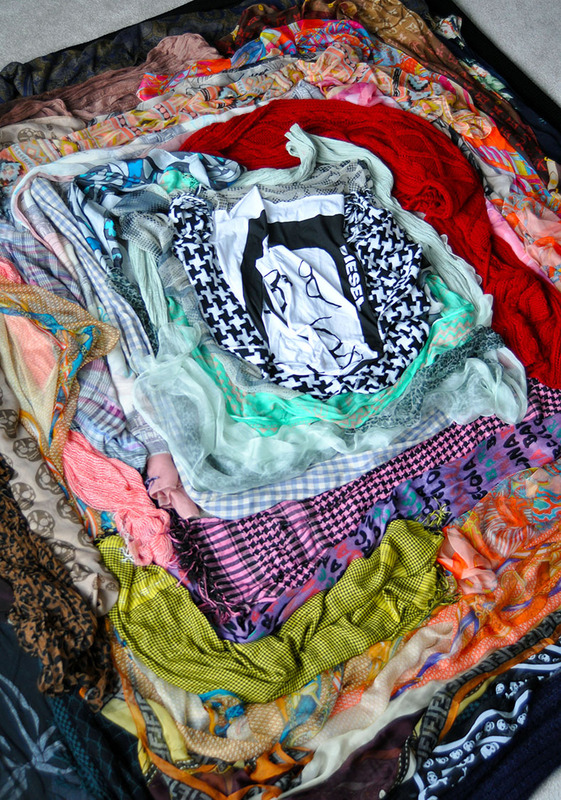 I came across my scarf section and it kind of scared me a little when I raked it all out. I came to realize what a scarf junke I am. I've neglected some of thesse pieces, and just left them there to collect dust. Well...why not make something artsy out of them? They've once again re-debuted. 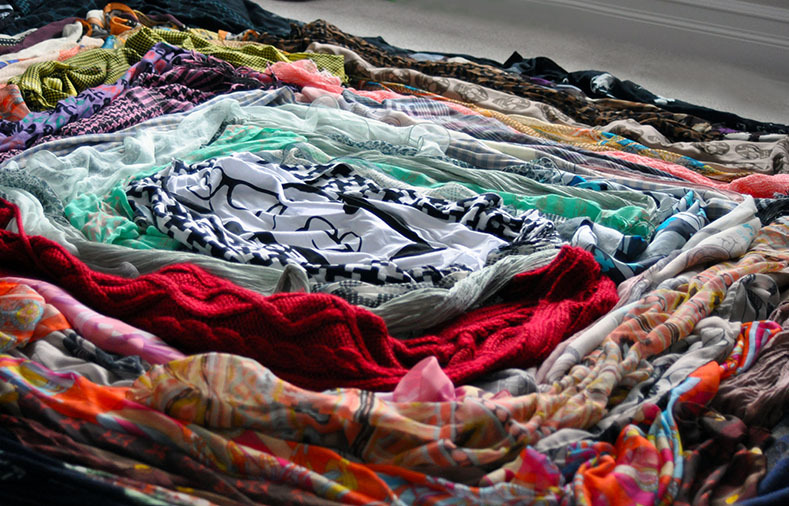 This time they aren't just to be worn as scarves, but to be made into a carpet. Or mat. Or whatever you want to call it. The scarves below are a combo of Doris' and mine. 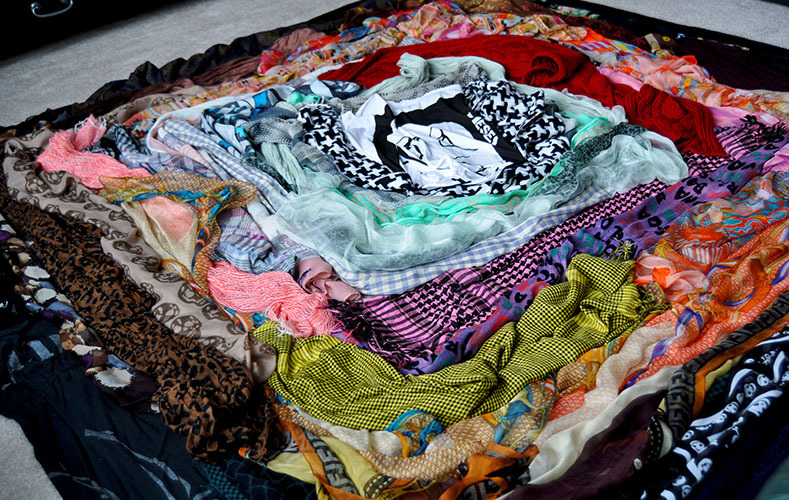 All you scarf fanatics out there...please do show us your collection too!